The beautiful village of Rampton lies some seven miles north of Cambridge and is a small village of under 200 houses. In terms of facilities we have a Church, Chapel, Public House, Recreation Ground and a Garage. The land on which the present Village Hall lies was gifted to the village by Miss Delmer Price in 1951. Following a great deal of fundraising the Village Hall was built using a significant amount of volunteer labour. Since then the Hall has been extended and improved throughout the years and is now a self-financing modern village facility. 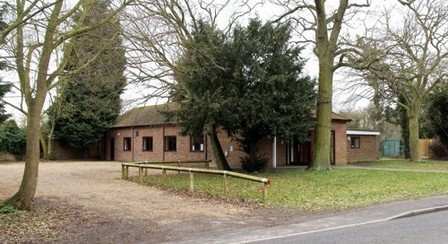 Rampton Village Hall, in common with most village halls, is held in a trust administered by the trustees; known as the "Rampton Village Hall Management Committee". The Trust Deed is the controlling document and registers us as a charity. The Village Hall Management Committee meets most months and comprises elected members. The elected members are elected at the Annual General Meeting and the representative members are put forward by the groups who regularly meet in the Hall. At the first meeting following the AGM the Committee then elect the Committee's officers for the next year. As a registered charity the Committee provides a set of accounts each year which form part of the Annual Report. The accounts are approved by an "Independent Examiner". A return is submitted annually to the Charity Commission. Click here for details of our current events.